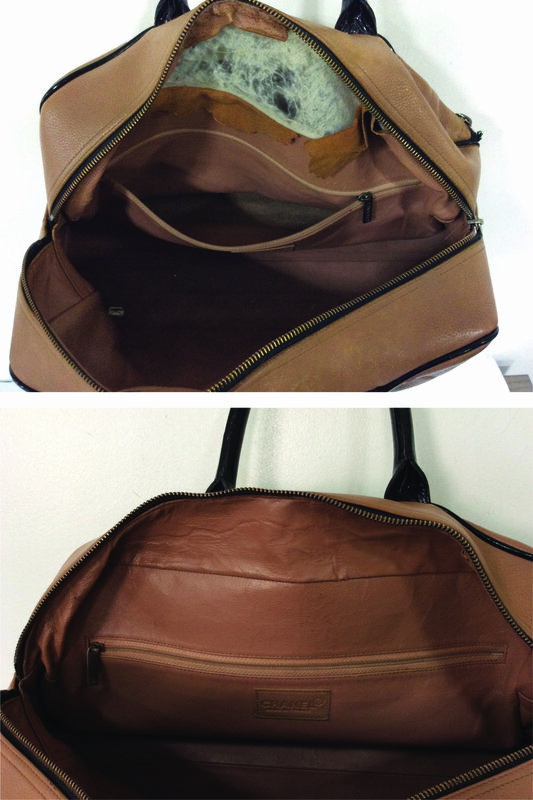 The inside of a woman’s handbag can see a lot of use and subsequent wear and tear as result! The lining of this Chanel handbag had actually torn and started peeling before it’s trip to The Handbag Spa. 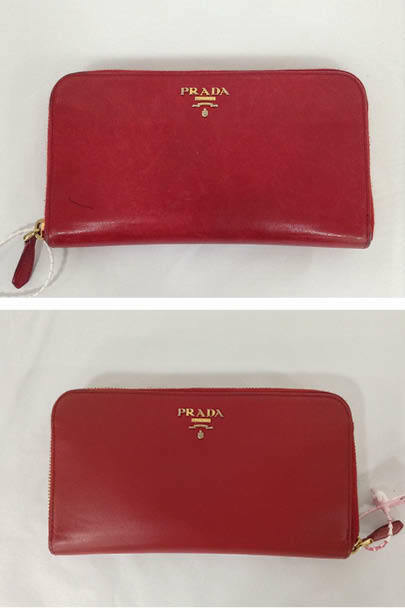 The technicians repaired and restored the area in order to give the handbag a lot more years of use! Chanel Trim Colour Change. Lighter coloured fabric can mark easily and be hard to maintain, but luckily here at The Handbag Spa we have experts on hand to help. 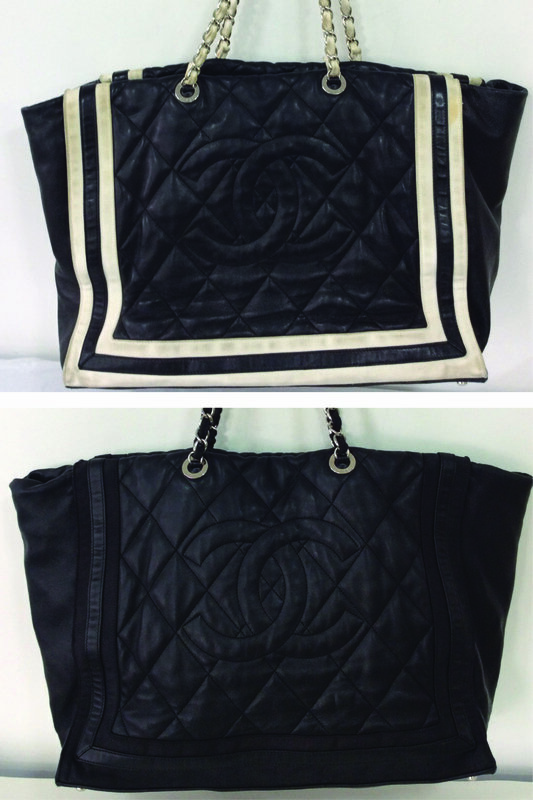 A Colour Change to the trim on this Chanel tote transformed its whole look and gave the bag a whole new lease of life! So the cat decides to use your bag as a scratching post! What do you do!? Here in our Spa we repair each scratch one at a time preserving the original leather then refinishing the surface to even out the appearance. This treatment is a Bespoke treatment and is priced based on the level of damage. It may be small, but it’s there! An ink mark can be the most annoying thing. 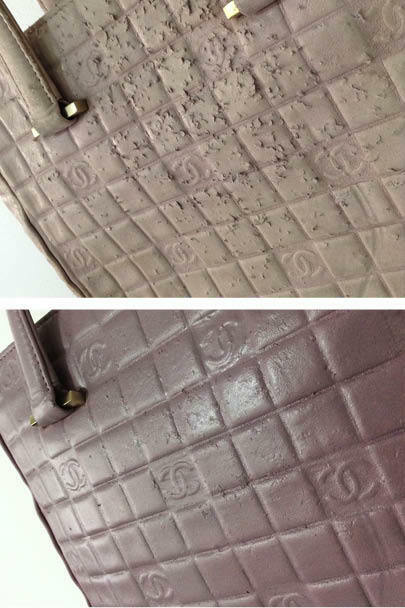 There are many home remedies out there for this sort of problem but most of them will take out the colour of the leather, leaving you with a mark even worse than what you started off with. Send it to the experts for removal and you would never even have known it was there. This has to be one of the most common problems we see on Mulberry Bayswaters, a bit of an Achilles Heel of this almost indestructible bag. Our solution to this problem is to replace any damaged piping in that area, and seal up the area using glues, fillers and pigments to rebuild the area so it’s strong and ready to face the elements. 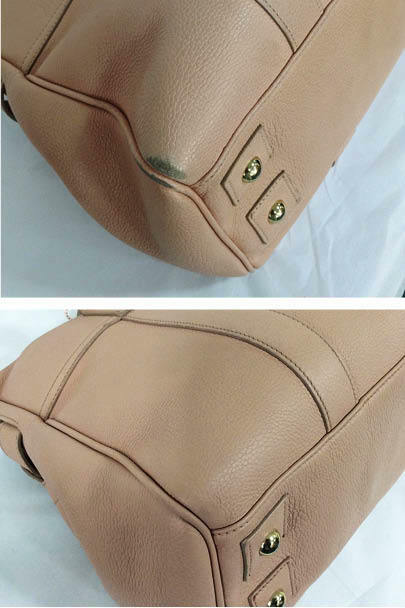 This means we don’t have to de-construct the bag keeping it as close to the original as possible which is always our number one concern here at The Handbag Spa. 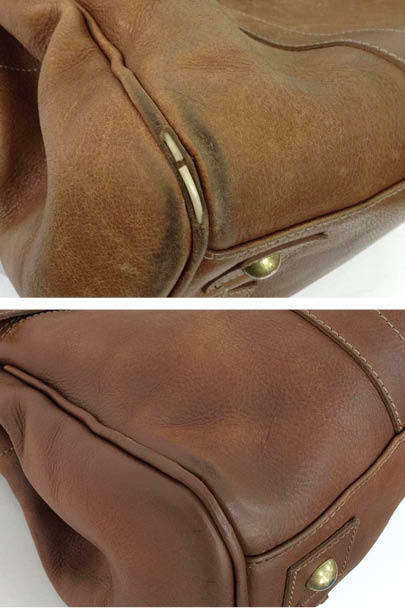 We can all relate to that annoying wear and tear that shows on the corners of our bags. Luckily we have the remedy here at The Handbag Spa with our Colour Touch Up treatment. We match every colour by eye, on the day for each individual handbag. Nothing is pre-mixed, so you can rest assured we will get the exact colour for your bag.